A memorial service for Tommy Jackson of Arabi will be held at 4:00 p.m. Sunday, March 24, 2019 in the chapel Of Rainey Family Funeral Services. The family will receive friends prior to the service Sunday beginning at 2:00 p.m. at the funeral home. Tommy, 68, passed away Friday, March 22, 2019 at Willson Hospice House in Albany. He was born in Tifton, the son of the late J.E. Jackson and Wylene Matthews Jackson. He was also preceded in death by a son, Mitchell Jackson and a brother, Randy Jackson. Tommy was employed with the Cordele Police Department for 25 years, retiring as a Captain in 2012. 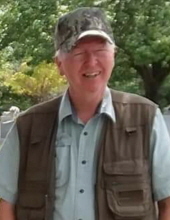 An avid outdoorsman, he enjoying hunting, fishing and working in the yards. Closest to his heart though was his wife and family. Tommy is survived by his wife of 22 years, Tracy Mixon Jackson of Arabi; three children, Scott Jackson and his wife, Rebecca, Tyler Jackson and Adam Mixon; daughter-in-law, Heather Smith; ten grandchildren, Sierra Jackson, Jasmine Jackson, Savannah Jackson, Ty Jackson, Jade Mixon, Colton Smith, Emma Jackson, Rayder Jackson, Courtney Snelgrove and Chris Snelgrove; three great-grandchildren, Adalynn Fowler, Leelan Fowler and David Snelgrove; three brothers and their wives, Larry and Martha Jackson of Albany, Glenn and Sara Jackson of Alapaha and Carl and Cathy Jackson of Tifton; and two sisters, Sandra Giddens of Tifton and Elaine Blanchard and her husband, Bobby of Ocilla. The family request that contributions be made to Willson Hospice House, 320 Foundation Lane, Albany, GA 31707. To plant a tree in memory of Tommy Jackson, please visit our Tribute Store. "Email Address" would like to share the life celebration of Tommy Jackson. Click on the "link" to go to share a favorite memory or leave a condolence message for the family.